Brenda guarantees your audience will laugh, learn, and relax their way into great education that is customized for your event. Looking for Inspiration and humor? Brenda goes deep into exploring the adversity and diversity that many people face in their lives and their attitudes toward dealing with it. This presentation will get your group to laugh about our common stories and depart feeling glad for their vocations or push themselves to make positive changes in their lives. Brenda is a funny story teller who personalizes the right message for your group. Brenda gives CEU accredited talk on how humor can be used in the work experience as she relays personal stories. She gives you a behind the scenes look of interacting with patients and understanding their perspective. Brenda will educate you on the various forms of humor and their practical uses on the job. Citing studies of the benefits of humor, and telling inspirational stories of examples in the workplace setting, she will keep you laughing and energized. In this funny Keynote Brenda delivers a hopeful and adventurous look at life as we grow older. Brenda Elsagher—Brenda interacts with the audience, does her research based on the client’s needs and makes it personal, sharing stories in which everyone can relate. The audience can trust her knowing that she will give them the evidence-based research they might need for CEU’s on humor or other information all explained with a healthy dose of laughter. 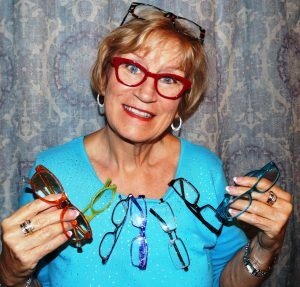 Brenda has spoken on a variety of topics that include leadership, diversity, self-image, goal setting, blending cultures and faiths, aging and disabilities, and humor and healing. Each talk focuses around applying therapeutic humor to home, work and play and the audience walks away energized. Her main audiences are healthcare professionals, community events, women’s groups, long term care groups, faith groups, cancer and ostomy support groups as well. A national keynote speaker, she is comfortable in front of groups of ten or crowds of thousands. Brenda takes her audiences through her experiences using laughter and reflection, and courageously talks about taboo subjects. Humor is the avenue she uses to cope and teaches others to do the same.